The very first and official update of 2019 by Google has arrived finally! 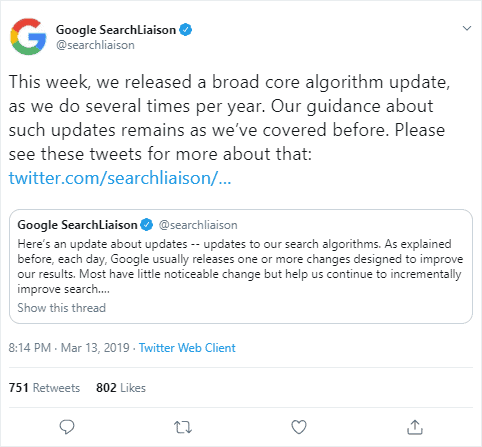 On 13th March 2019, the update was announced by the official Google SearchLiaison Twitter Handle. As we all are aware that Google keeps on delivering updates on a regular basis, haven’t this statement made a scroll of following names in your mind! Yes, these are the past updates that many SEO pros have gone through. Here I’m not trying to say that all these are similar, they may have a connection but this update is different! Assume Google measures more than 200 factors that are up to some extent responsible for making a website Rank in search engines or being completely SEO friendly as per Google norms. With the update, Google has made changes in the importance, value, weights, and order of these parameters (Which are obviously not specified clearly) to get better results. The least complex approach to picture this is assuming 200 parameters arranged in a sequence showing their importance. Therefore if 67 out of these 200+ factors are changed or modified by Google, this would result in fluctuating ranks. However, it would be a blend of numerous things and not because of one explicit factor or cause. This example concludes that Google has basically changed the way it used to calculate the term significance on a page, or the weighting of links in PageRank, or both, or an entire group of different elements that are not discussed yet! How can you recover this impact? Although Google has not come up with the solutions to protect the rankings of your website, as there is no common reason for downfall or hike up in the websites. 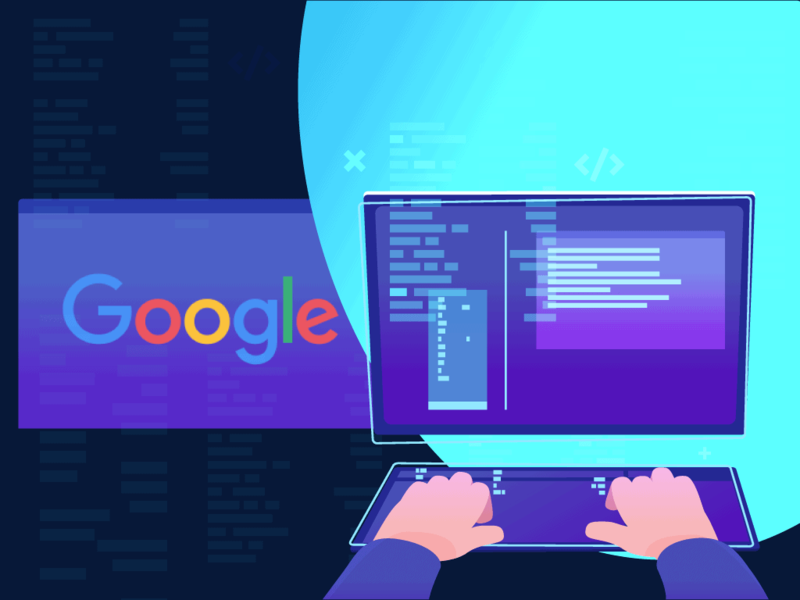 Each website has an entirely different reason as compared to other, therefore Google isn’t telling you how to recover, as its likely a different answer for website and query. But Google does have a bit of advice for us and i.e. Also, the impacts are same on websites build by any CMS, be it a WordPress Website, or a website developed in Joomla, Drupal, etc. Did you also notice a decrease in your website’s rank? Then don’t panic, you can get help here!